For a while now, one of the most frequent questions I receive is about the beautiful pendant that is hanging above my bed (photo below). 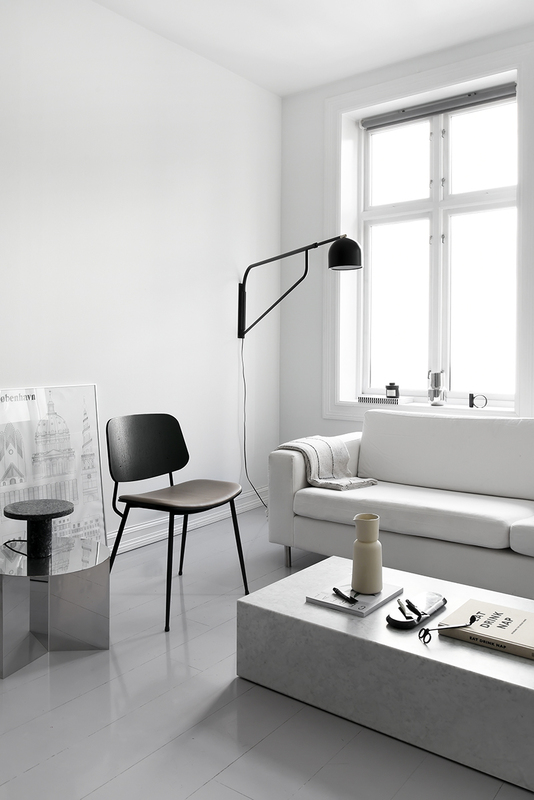 I first saw the Mobil 100 pendant by Pholc a few months ago while strolling around Stockholm. I didn’t buy it then because I wouldn’t have been able to carry it with me in flight, but I made a mental note on checking up on it as soon as I returned back to Oslo. I found the company that makes them ( Pholc ) and I found that in fact they were quite affordable for such a great quality and such a size for a pendant, but unfortunately back then they were not easy to find in Norway. Fast forward a few months later and Pholc is fully represented in Norway ( you can find most of the collection in one of my favourite stores Hviit ), if you were thinking of buying it, now you can easily do so! 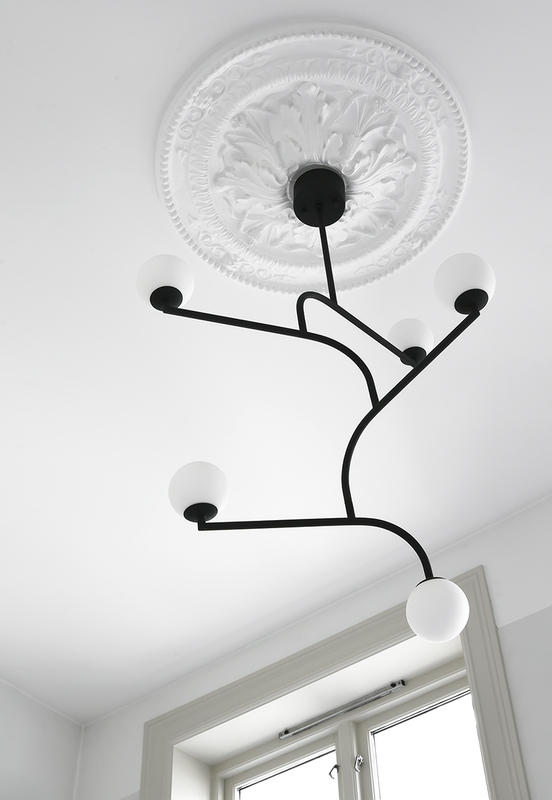 My bedroom pendant comes in different sizes ( with either 5 arms or 3 arms) as well as 3 different finishes ( black, nickel coated and brass). 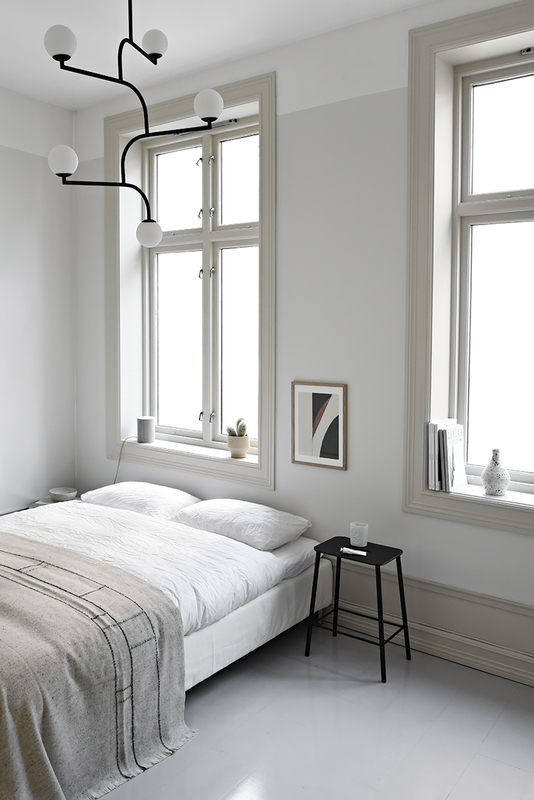 In the same line you can also find a wall lamp and table lamp, all in different finishes too. 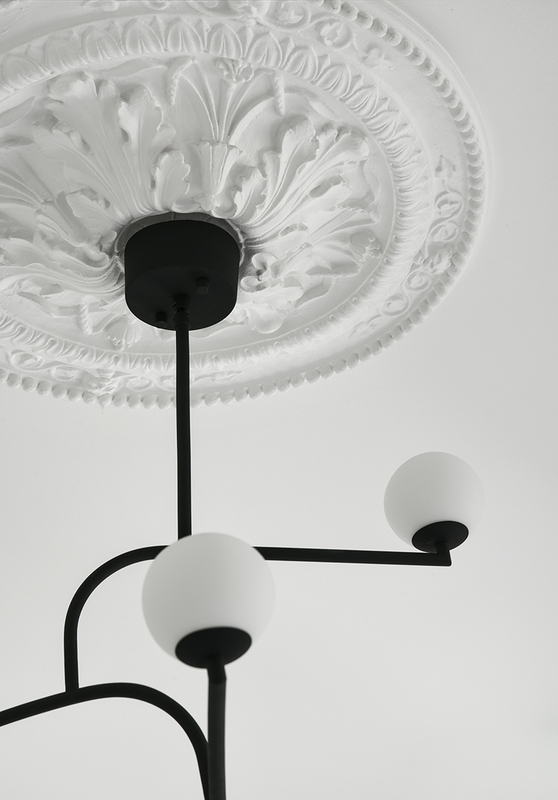 However, while Pholc is now quite well known for their very recognisable pendants, they also have other notable designs that follow the same values, build to last with great materials , beautiful Swedish design, all the while keeping their price range budget friendly and affordable. 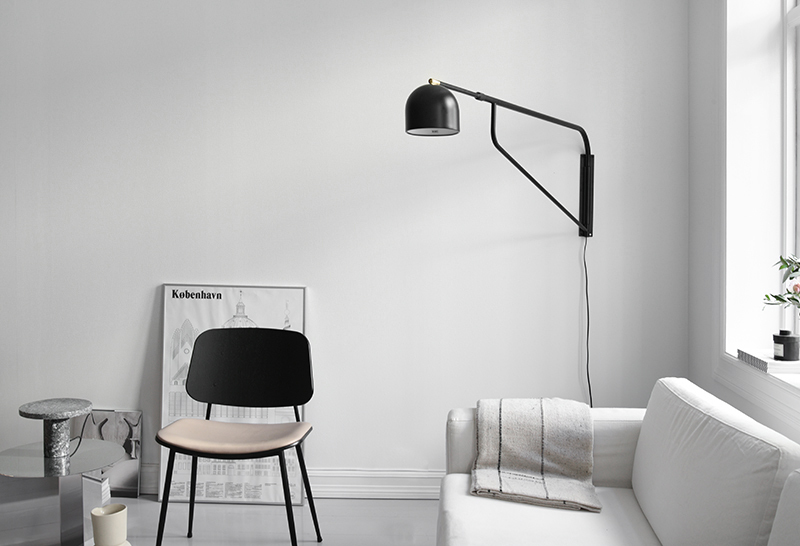 As seen in the photos above, their wall lamp Bellman is a great fit next to my couch, and as it swivels left and right it is also quite customisable. In fact I just put it up today and I very much like how the corner looks like. The photos are taken without turning it at all, so you can see how it looks from completely different angles without touching it. I really like how it creates interesting views from all sides! Pholc, even though is a relatively young company, already has some great designs to showcase, and as you can see, I am already a big fan, for a long time now. You can check their whole range here, but also , you can check the blog for updates, these will not be the only Pholc that will find themselves in my space (I am looking at you Spinn Pendant and Pearls 65). Beautiful space! Can you tell me where did you get the chair from?